At least 117 megabytes (MB) of available storage space. 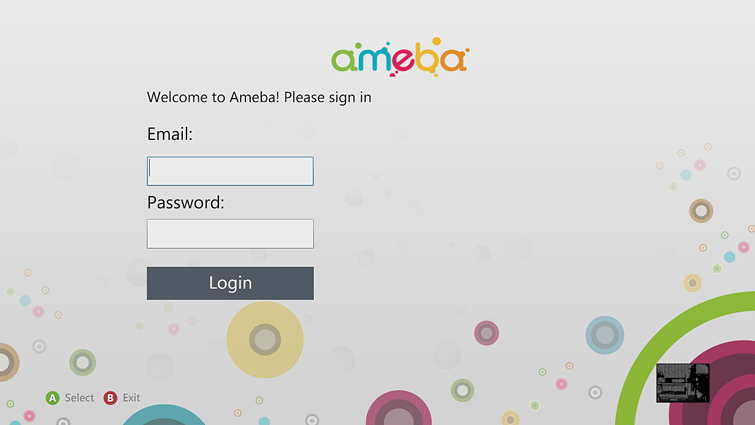 An Ameba membership (paid or free trial). Go to apps and then select Browse Apps or Search Apps. 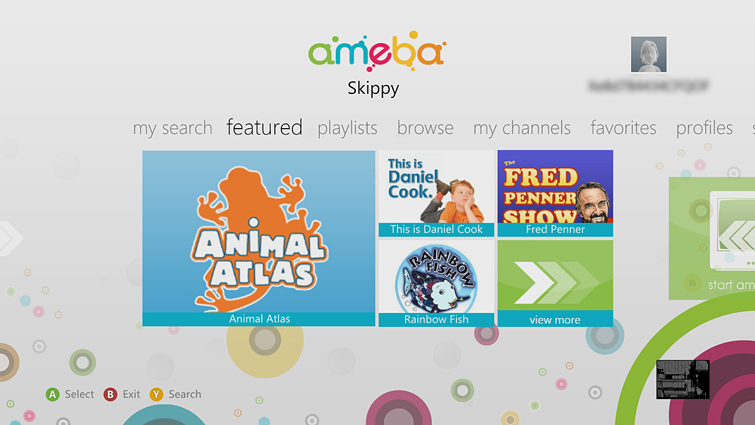 Browse or search for the Ameba TV app. Select Ameba TV, and then select Download. You will be required to either sign in by using your Ameba TV username and password, or by creating a free Ameba TV account by selecting the tile in the lower-right corner. Once you are signed in, you can browse the available content. To start Ameba TV later, go to apps, My Apps, and then Ameba TV. Go to apps, My Apps, and then Ameba TV. When you start the app the first time, you will be prompted to Sign in or start a free trial. Enter the email address and password that are associated with your Ameba TV subscription. Note Once the app is activated, you won’t be prompted again for this information. The Ameba TV feed will begin playing content immediately. Select the B button to leave the current show and return to the featured hub. From the featured hub, you can watch any of the programs displayed in the center of the hub. For more choices, navigate to playlists, browse, my channels, or favorites, or search for your favorite shows at my search. If you already have an Ameba TV account when you start the app the first time, you enter the email address and password that is associated with your Ameba TV account. 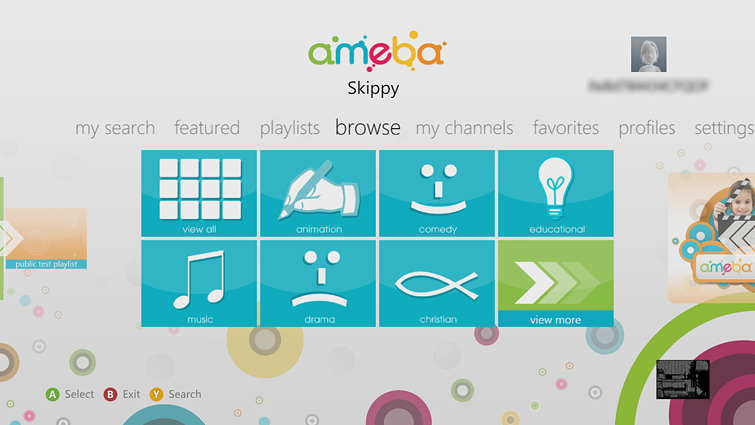 If you don’t have an Ameba TV account, you can select the Ameba Smart Kids TV tile on the right side of the screen. You will be prompted to enter an email address and password and confirm your password or select Start Trial. 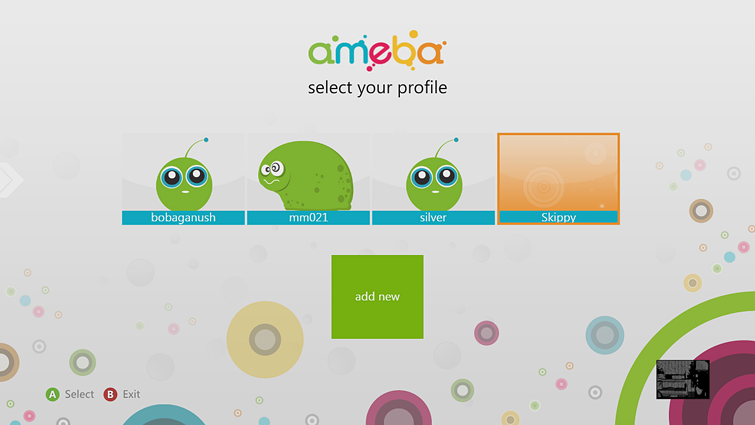 Once you are signed in, you must create an Ameba profile. This profile is different than your gamertag and will only be tied to the Ameba TV app. On return visits, the login step is skipped, but you will need to select the profile you created before watching programs. Note The steps above will create an Ameba TV account, but to activate the subscription, you must go to the Ameba TV website to enter credit card information before your trial period expires. For Ameba TV account support, go to the Ameba TV website or email Ameba support. If you use Family Settings to control which movies and TV shows can be watched through Xbox Live on your console, the Ameba TV app will follow those settings. For example, if you use parental controls to restrict access to some kinds of TV programs, those programs will be marked with a “restricted” icon in the Ameba TV app. To play a restricted item, an adult must enter the Family Settings pass code. 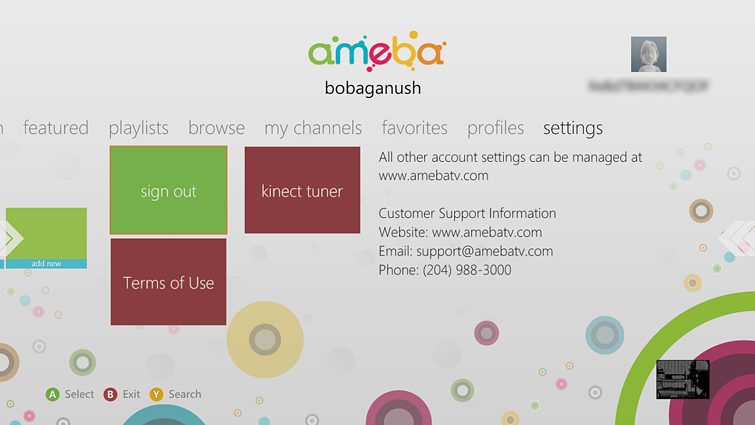 ¿Quieres contactar con el Soporte técnico con referencia al problema "Set up and use the Ameba TV app on Xbox 360" acerca del que estabas leyendo o con referencia a otro problema?